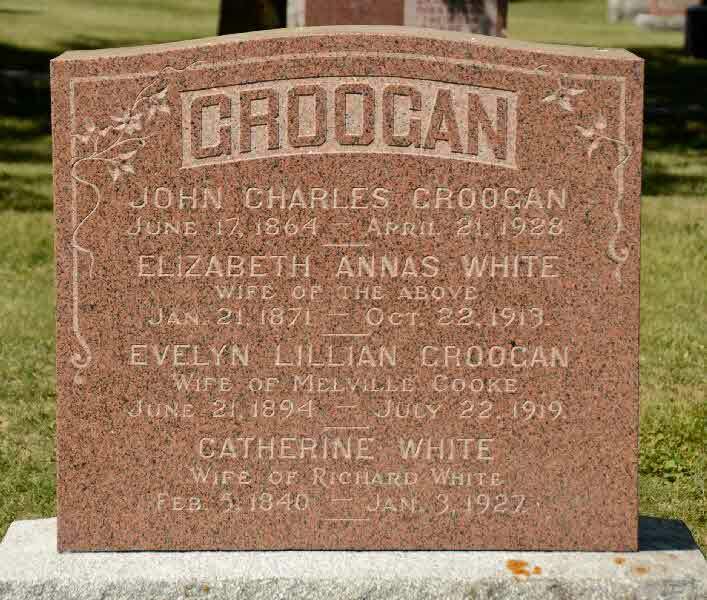 Marriage* Elizabeth Annas White married John CHARLES Groogan, son of John Groogan and Elizabeth Unknown, on 13 September 1893 in Brock Twp., Cannington, Ontario County, Ontario, Canada. Birth* He was born on 20 February 1889 in Brock Twp., Cannington, Ontario County, Ontario, Canada. [S59] California Death Index, 1940 - 1997, online \, Death INdex for Bruce White, s/o White and Pue. Marriage* John White married Martha Jane Dixon on 30 December 1885 in Tecumseth, Simcoe County, Ontario, Canada. 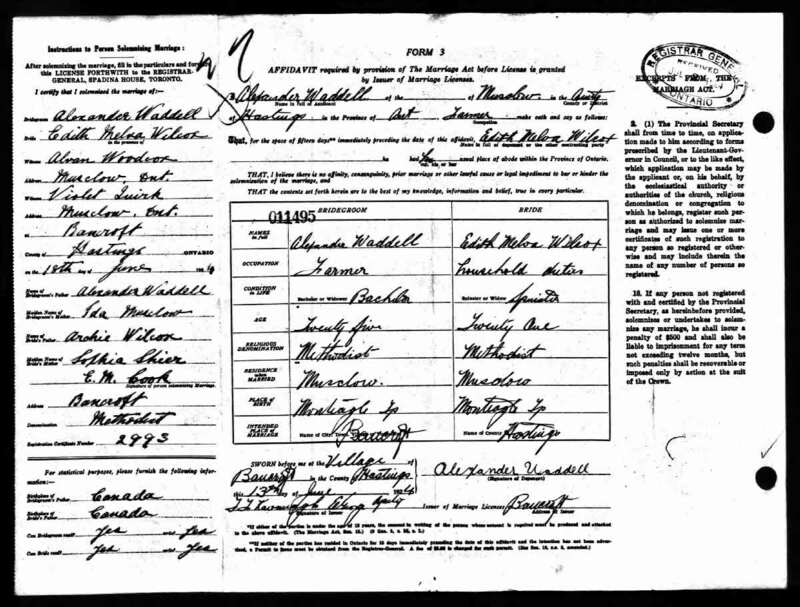 Marriage* Julius White married Catherine Ryan, daughter of George Hill Ryan and Catherine St. John, on 30 December 1879 in Aaran Twp., Invermay, Bruce County, Ontario, Canada. 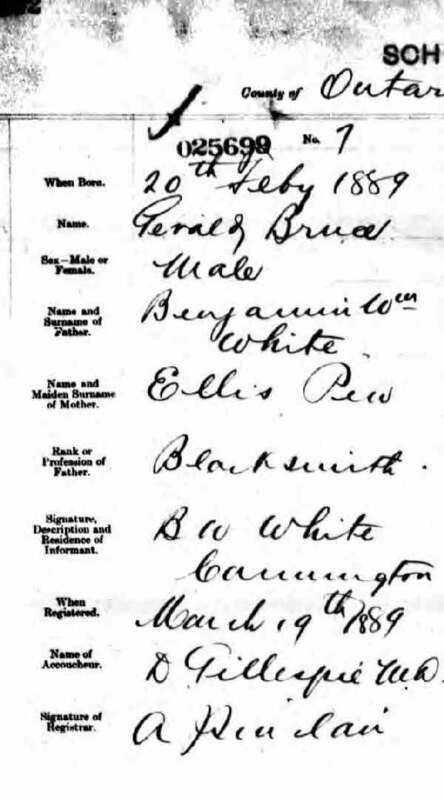 Marriage* Margaret Elizabeth White married Dr. James Oliver Groves, son of Abraham Groves and Margaret Gibson, on 25 December 1883 in Erin, Wellington County, Ontario, Canada. 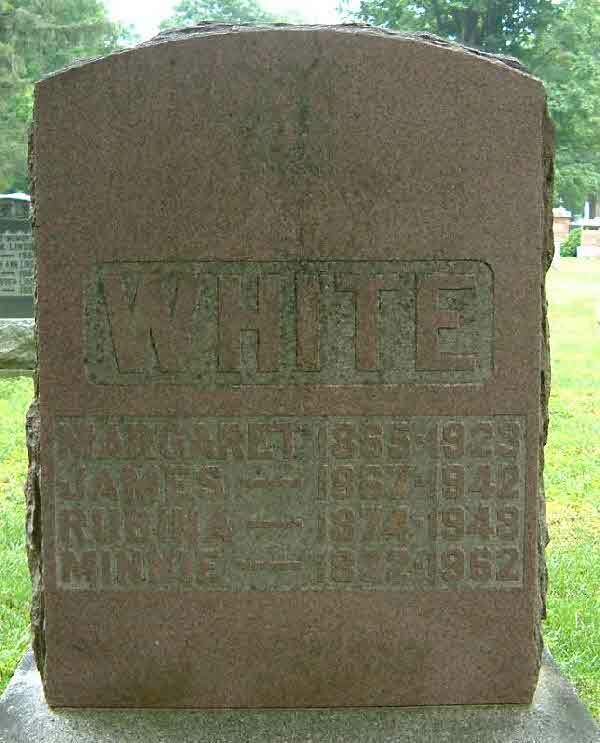 Death* Margaret Elizabeth White died on 24 February 1923 in Toronto, York County, Ontario, Canada. 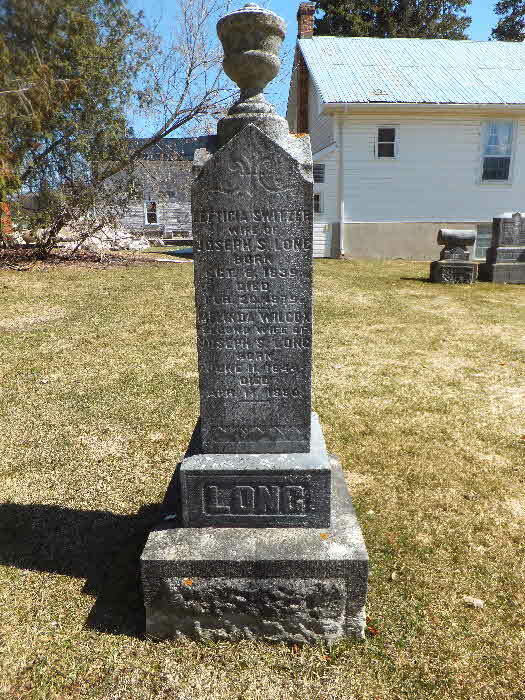 Burial* She was buried in Belsyde Cemetery, Fergus, Wellington County, Ontario, Canada. 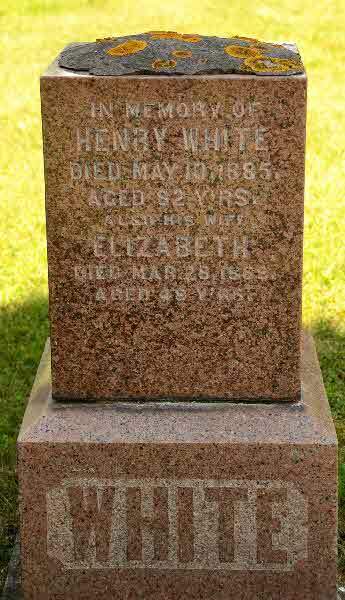 Death* Mary White died on 25 September 1916 in Brock Twp., Cannington, Ontario County, Ontario, Canada, at age 73. 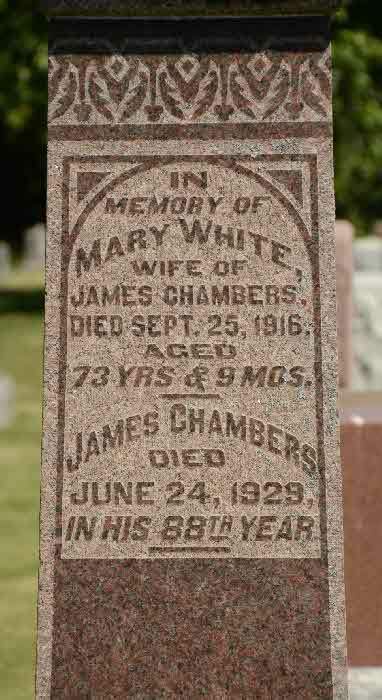 Death* Mary Jane White died on 18 May 1882 in Verulam Twp., Victoria County, Ontario, Canada; due to scarlet fever. Birth* Norman Douglas White was born on 26 August 1885 in Brock Twp., Ontario County, Ontario, Canada. 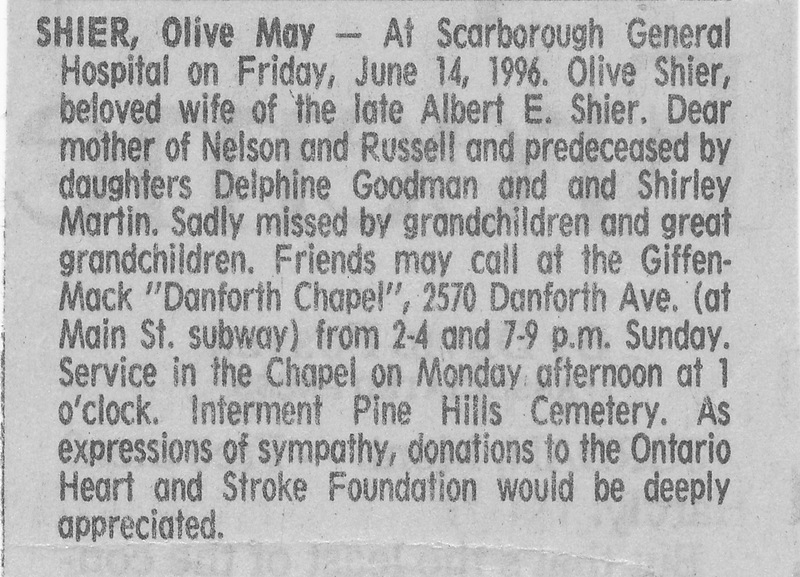 Death* Olive May White died on 14 June 1996 in Scarborough, York County, Ontario, Canada. Marriage* He married Catherine White, daughter of Henry White and Elizabeth Shier, on 16 March 1870 in Ontario County, Ontario, Canada. Birth* Stewart Hilbert White was born on 15 September 1887 in Brock Twp., Wilfrid, Ontario County, Ontario, Canada. Death* Stewart Hilbert White died on 12 February 1910 in Toronto, York County, Ontario, Canada, at age 22. Birth* Watson Somerville White was born on 11 May 1896 in Brock Twp., Cannington, Ontario County, Ontario, Canada. Fact 1* The White family entered the USA for immigration purposes. [S59] California Death Index, 1940 - 1997, online \, Death INdex for Watson S. White, s/o White and Pue. 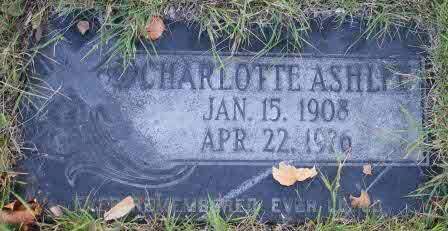 Death* Charlotte Eunice Whitford died on 22 April 1976 in Lloydminster Municipal Hospital, Lloydminster, Alberta, Canada, at age 68. Death* Marjorie L. Whitney died on 13 February 2003 at age 79; Marjorie L. Beardsley of GreeneAngels came and took Marjorie L. Beardsley down the lighted path to Heaven on Thursday morning, February 13, 2003, from her home. 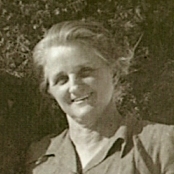 She was predeceased by her husbands, Harry Doupe and Raymond Beardsley; a daughter, Vera Mae Doupe; sister, Bernice Valletta; brother, Frank Whitney. 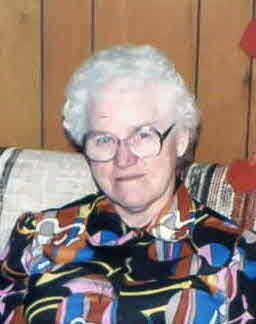 She is survived by two sons and a daughter-in-law, Lauren and Connie Doupe, Dennis D. Doupe, all of Port Crane; a daughter, Hazel Riekard, of Ala; sister and brother-in-law, Mary J. and Stanley Riley, Greene; brother and sister-in-law, Wayne B. and Connie Whitney, Binghamton; many grandchildren and great-grandchildren, brothers-in-law and sisters-in-law; a devoted friend, Caroline Mertz, Greene.services will be held at 1 p.m. Sunday, at the First United Methodist Church, Greene, with Rev. William McCall officiating. Burial will be in Pharasalia-Hook Cemetery in the spring. There will be no calling hours. Memorial contributions in her memory may be made to the First United Methodist Church, S. Chenango St., Greene, N.Y., or to the Greene Emergency Squad, 8 N. Canal St., Greene, N.Y. 13778. 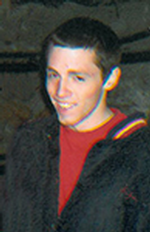 Arrangements are under the direction of Root Funeral Home, 23 N. Chenango St., Greene. 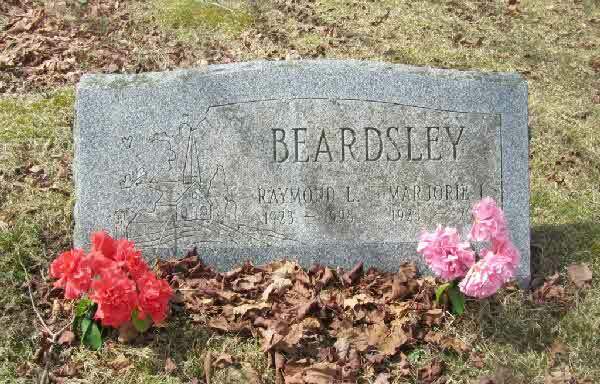 Burial* She was buried in Wayside Rest Cemetery, Pharsalia, Chenango County, New York, United States. Death* Blanche Ellen Wilbur died on 15 December 1987 in Pasadena, Los Angeles County, California, United States, at age 82; A pioneering aviation enthusiast who helped found two early aircraft industry companies and a technical training school has died in her Pasadena home. Blanche Wilbur Hill, an Idaho-born philanthropist and socialite who obtained her pilot's license in 1931, when few women had even been in an airplane, was 85. She was first married to George Randolph Hearst, the eldest son of publishing tycoon William Randolph Hearst, and later married Cortland Taylor Hill, grandson of railroad magnate James J. Hill. In 1927, her family said, the 25-year-old woman joined engineer John K. Northrop in helping to start Avion Corp., which manufactured early all-metal aircraft. Her mother, Ada Chadwick Wilbur, was vice president of the Los Angeles company. That same year, she joined her father-in-law, Hearst, in sponsoring an entry in the Dole Derby, a perilous Oakland-to-Honolulu race. Ten of the 15 competitors were lost at sea, including the Hearst entry, the Golden Eagle--a wooden monoplane--and its two-man crew. In 1933, she became founding president of Northill, an aircraft development and manufacturing company that merged with the Garrett Corp. in 1940, her family said. She also founded and headed the Aeronautical Industry Technical Institute, a training firm for aircraft industry workers. She was born in Twin Falls, Ida., and attended Sullins College in Virginia and UC Berkeley. During her nine-year marriage to Hearst, she had twins, George Hearst Jr., former publisher of the Los Angeles Herald-Examiner, and Phoebe Millicent Cooke, now of Woodside. In 1934 she married Hill, and the couple helped organize skiing events at both the 1948 and 1952 Winter Olympics. They were divorced in 1952. During World War II, she headed the Los Angeles division of the Motor Corps for the American Red Cross and worked with Nurses' Aides, organizing the first class of junior nurses' aides in the country. Hill took part in Republican Party politics, serving on the National Republican Congressional Committee and the U.S. Senatorial Club. Her civic and charitable work included the Junior League and the local chapter of Recordings for the Blind. Besides her son and daughter, she is survived by six grandchildren, three great-grandchildren and a sister. 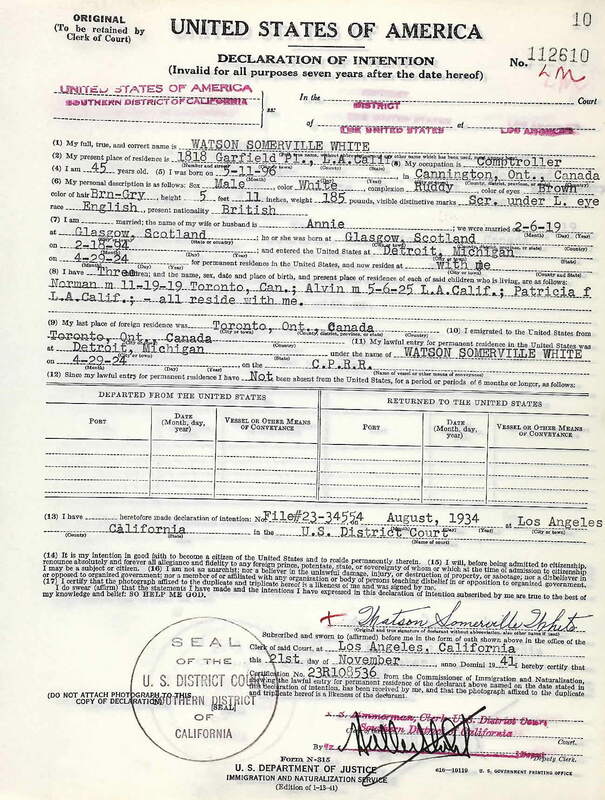 Cortlandt Taylor Hill was born on 31 Mar 1906 in St Paul, Ramsey, MN and died on 21 Mar 1978 in Monterey, CA. 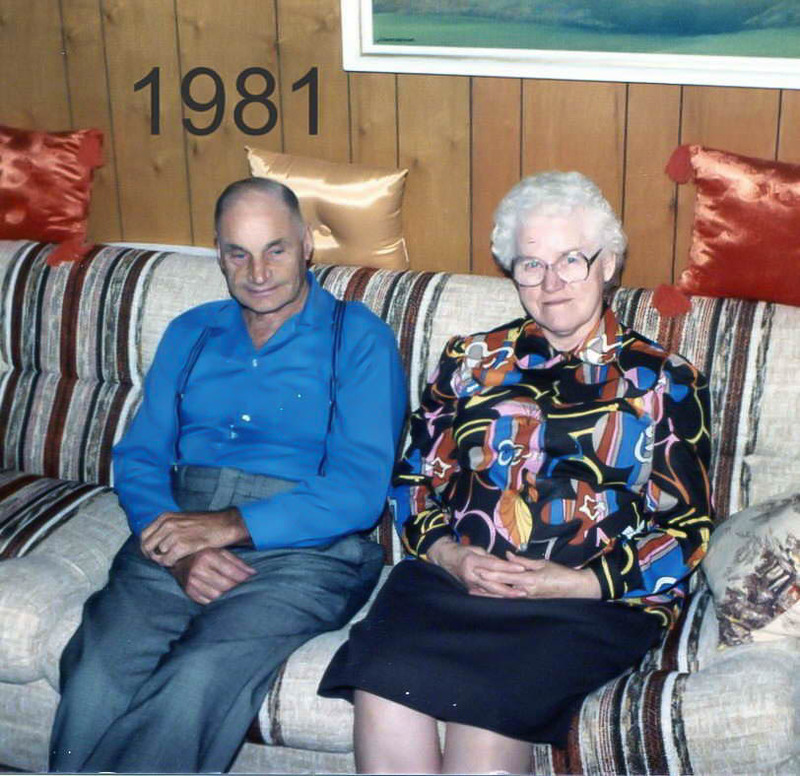 Birth* Archibald Evin Wilcox was born on 13 July 1908 in Monteagle Twp., Hastings County, Ontario, Canada. Marriage* Archie Wilcox married Sophia Shier, daughter of Richard Shier Sr. and Margaret Dawson, on 1 February 1900 in Brock Twp., Ontario County, Ontario, Canada; Reg Number 012137. Birth* She was born on 24 February 1903 in Hastings County, Ontario, Canada. 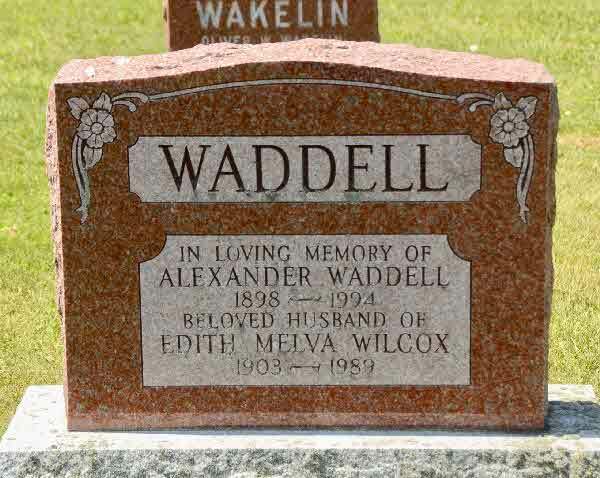 Marriage* Edith Melva Wilcox married Alexander Ezra (Sandy) Waddell, son of Alexander Waddell and Ida Wilhelmenia Louisa Musclow, on 13 June 1924 in Bancroft, Hastings County, Ontario, Canada. Fact 1* Edith Melva Wilcox and her husband, Alexander Eara Waddell. Birth* He was born on 13 February 1905 in Hastings County, Ontario, Canada. 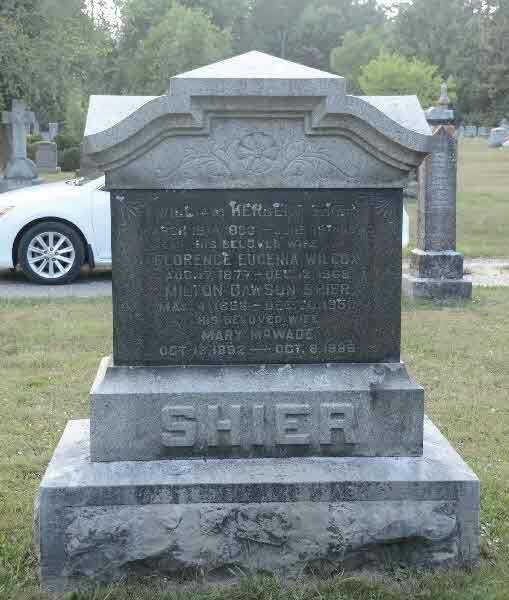 Burial* She was buried in Newton Robinson United Church Cemetery, Lot 24, Conc. 9, Tecumseth Twp., Simcoe County, Ontario, Canada.